Chicago : A novel measure for assessing the body’s response to surgery may allow for better anesthesia management in the O.R., less pain when regaining consciousness from anesthesia and better postoperative outcomes. According to a study published in the Online First edition of Anesthesiology, the official medical journal of the American Society of Anesthesiologists (ASA), the measure, called the nociception (pain) level index, allowed physicians to more accurately evaluate responses to painful stimulation in patients under general anesthesia, compared to traditional measures. Under general anesthesia, patients are unconscious, but their body still shows reflex responses to the surgical procedure, including changes in heart rate, blood pressure, eyes tearing or sweating. These unwanted reflexes can in some cases be dangerous, and physician anesthesiologists adjust the amount of anesthesia and pain medication when they occur. The nociception (pain) level index, which uses an algorithmic combination to process multiple hormonal and neurological reactions, aims to provide a better, earlier measure of the body’s reflex response to painful stimulation during surgery, compared to the traditional monitoring of individual factors such as changes in heart rate or blood pressure. In the study, 58 patients who had general anesthesia for a variety of different surgical procedures were examined. 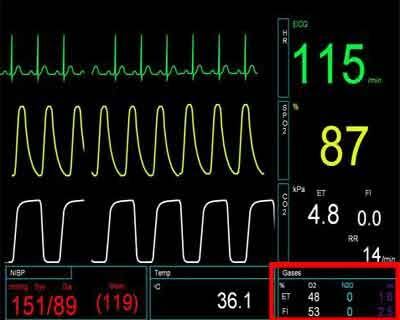 Routine anesthesia monitoring was supplemented with a pain monitoring device (PMD-100; Medasense Biometrics; Ramat-Gan, Israel), which generated the nociception (pain) index. The patients’ index was compared to individual, more traditional measures, including heart rate and blood pressure. This index was assessed at several stages including intubation and skin incision, which were designated “noxious” stimuli that would be painful in the conscious person, and where then compared to other non-painful periods. Compared to other accepted monitors for measuring the body’s response to painful stimulation during surgery, the nociception (pain) index better discriminated presumed pain-causing stimuli from non-pain-causing stimuli. The index also accurately quantified the body’s response to increasingly more painful stimulation, with high sensitivity and specificity, as well as showed a decrease when pain medication was administered. The study, “Preliminary Intraoperative Validation of the Nociception Level Index,” was supported, in part, by Medasense Biometrics (Ramat-Gan, Israel), the developer of the nociception level index. Dr. Edry and co-author Daniel Sessler, M.D., serve on an advisory board for Medasense and have an equity interest in the company.